The term Delhi Public School, Rohtak or 'us' or 'we' refers to the owner of the website whose registered office is Jind Road, Rohtak-124001, Haryana. . The term 'you' refers to the user or viewer of our website. You may not create a link to this website from another website or document without Delhi Public School, Rohtak prior written consent. Delhi Public School, Rohtak is committed to ensuring that your privacy is protected. Should we ask you to provide certain information by which you can be identified when using this website, and then you can be assured that it will only be used in accordance with this privacy statement. Delhi Public School, Rohtak may change this policy from time to time by updating this page. You should check this page from time to time to ensure that you are happy with any changes. This policy is effective from [date]. You may request details of personal information which we hold about you under the Data Protection Act 1998. A small fee will be payable. If you would like a copy of the information held on you please write to Jind Road, Rohtak-124001, Haryana. Address : Jind Road, Rohtak-124001, Haryana. 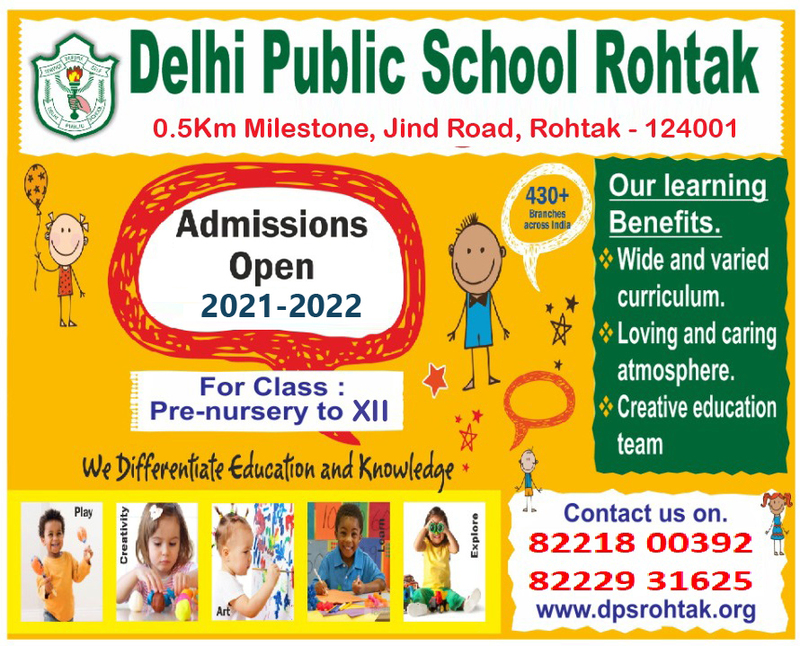 Delhi Public School-Rohtak do not warrant that the content of this website is accurate, authentic or complete or that the information contained in this website is suitable as per needs while due care has been taken in the preparation of the information contained within this web-site. All material on this web-site is the intellectual property of Delhi Public School-Rohtak. No material may be copied or used without the express written permission of the Delhi Public School-Rohtak. Please contact the school in case of any queries in this regard.